If you’re looking for some winter sun this Christmas but can’t get away, then we may have the perfect alternative for you: the Lanzarote Guidebook Winter Edition! 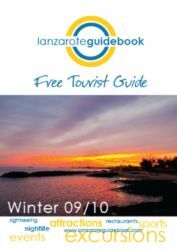 The 96 page guidebook is available free of charge as a download from the Lanzarote Guidebook homepage, or can even be sent to you by post for a small fee to cover postage and packing. The Guidebook is packed with useful information and some great photos of the island. Researched and written by long term island residents Lanzarote Guidebook contains all of the information that holidaymakers and independent travellers could need to know. As well as lots of handy inside tips. And as it is published quarterly the information is always accurate and up to date. Unlike conventional guidebooks which can be obsolete by the time they hit the shelves. Of course, if you are lucky enough to be visiting Lanzarote this Christmas, then you can pick up your own copy at the airport, eg. at the information desk on the arrivals level. It is also distributed via car hire companies, hotels and private villas. When I first read about the new Fish and Chip shop in Puerto del Carmen – Double Six – I knew it was somewhere that I would want to go. Could they really get the batter right, as they were claiming? What’s good: the food is tasty and reasonably priced. There is even a children’s portion, which makes a change from some of the menus in the area who mostly have the same options for them. What’s not so good: although you can get other things you might expect at a fish’n’chip shop, such as battered sausages, there is not a wide choice of fish. Just cod. The highlight: at the end of the meal you get to throw a pair of dice and if you get a double six then you only pay for the drinks – the food is on the house. 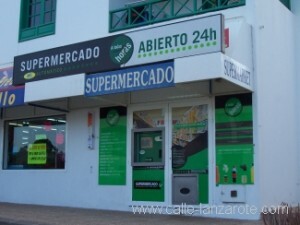 The 24-hour self-service supermarket that we reported on previously in Puerto del Carmen has now been extended to Orzola. Located in the far north-east of the island, Orzola is popular with visitors crossing to the smaller island of La Graciosa for the day. Now they can buy their essential supplies after returning to the mainland whatever time the ferry gets in. 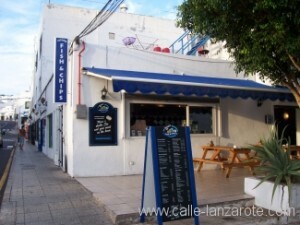 You are currently browsing the Calle Lanzarote blog archives for the year 2009.